In the past decade and a half, healthcare has seen notable changes in its market on a local and national level. With this changing medical practice environment, the members of Kansas Eye Services (KES) came together in 1996 to form this network. 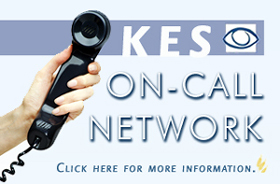 KES was established to solidify the working relationships between KES members. It also was established to provide Kansas' independent eyecare practices a partner organization to meet local and national changes in the health care market.